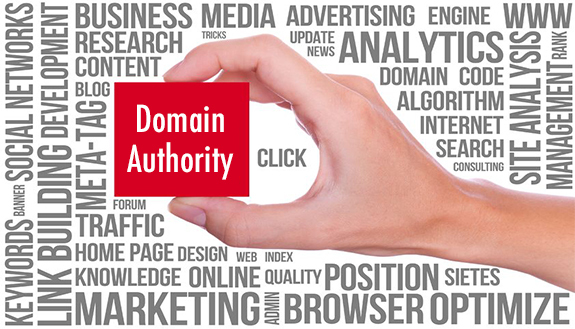 Domain Authority or DA is a blog or website metric that is developed by Moz and it is a significant element in terms of SEO. It is also an indication of your website’s status and place in the search engines. Thus, looking for ways on how to improve domain authority will help your business a lot. Great Ways on How to Improve Domain Authority of Your Blog Improving your website’s SEO Given that Domain Authority is a vital element in the field of SEO, what you’ll need to do is to perk up your website’s overall SEO including the off page and on page SEO matters like sitemaps, meta-tags, website structures, classified ads, social bookmarking, original contents, guest blogging, URL structure, and many others. Consider creating exceptional contents. Exceptional contents are the keys for a successful blogging. It is not sufficient to just only write useful contents for your blog readers. You might also need to try writing some contents that are unique. Making use of Internal-links Giving more attention to internal linking can be a lot more advantageous for your website, to the search engines that crawl and index your blog and most importantly to your readers. It is also a great way to uphold old posts from your blog. Declutter your website Delete those links that are considered as a spam from your website/blog. They might play a great role in harming your website. And to some extent, your website’s visitors might get confused when they visit your visit because of those spam links that come in their way. Have patience. The older the domain the higher its Domain Authority is that is why patience is the key. It takes a lot of time to put up the domain authority. So if you are working hard on your website or blog in the appropriate manner, you might notice your domain authority to boost up slowly. And of course, it doesn’t happen in a very quick manner. Always remember, all good things take time to be attained. Now that you have a knowledge regarding some ways on how to put up your domain authority, you need to know now that the number of sharing that can happen in your blog or website depends upon the quality of the contents that you are making. Vast content sharing means high-quality traffic and good traffic can supply you some back links so your domain authority will go up noticeably. BMC Solutions is a business for website and marketing assistance that provides services on website improvement, web hosting, graphic design, SEO services, ecommerce website development, web content management system, and many others as dictated by your business needs that will assist you in enhancing your ecommerce business productivity including enhancing online business sales. They provide modified solutions that will fit every online business owner’s requirements. Visit http://www.bmcsolutions.com.au for more information.